Buy Global Equities…Sell Bonds !!! My favourite data is out again and since it has been a long time that I have not published my fancy charts and that we are at the 11th hour of debating the debt ceiling in the US this could be quite topical. Agree or disagree about what the typical US investors does and its predictive value I think they are right so far. Clearly the pattern of selling bonds is an on-going theme and favouring foreign equities against domestic one is now an established trend for US investors as can be seen from the charts below. 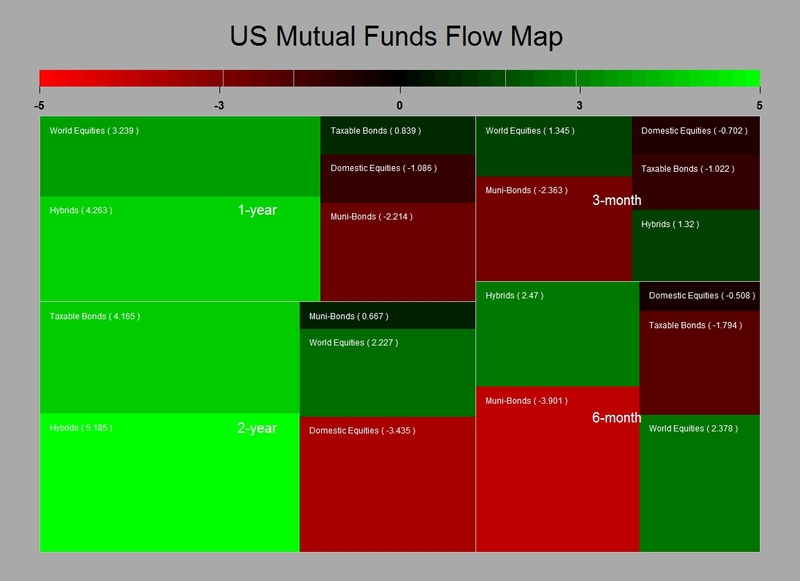 The one on the right shows how significant has been the inflow/outflow in each of the asset classes across different time periods whereas the one on the left shows the inflow / out flow in US mutual funds so far this month. So what now ? I guess if we get some kind of resolution it will be good short term for those treasuries as it will support the US credit rating (what does Fitch know about it anyway ?….) . Clearly it should be good for risk appetite so I still think long international equities is a good bet and get ready to sell some dollar after the next couple of days of exuberance …else I guess it is the idiocy that Buffet refers to…god save us all….nowhere to hide this time…. 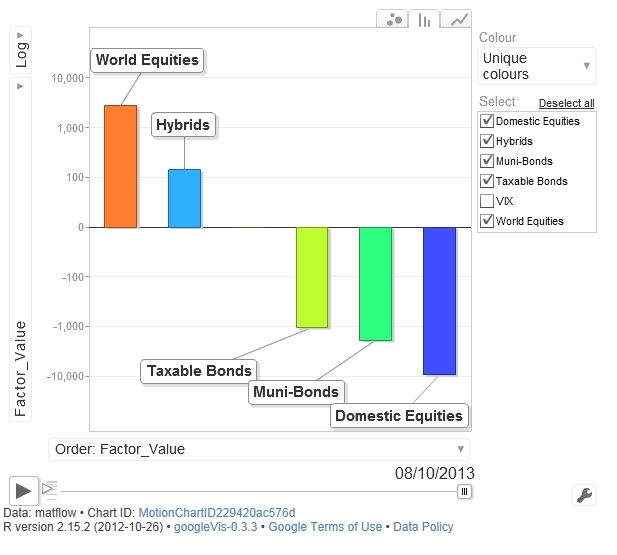 Posted in Asset allocation, Bonds, Market Risk, Stock Market on October 16, 2013 by Pierre.